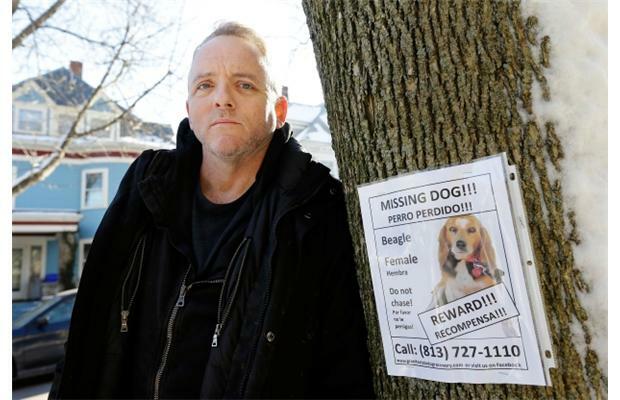 The crime novelist and screenwriter Dennis Lehane, author of numerous best-sellers books turned into award-winning films, is offering to name one of the characters of his next book after the person who helps him find his beloved dog, Tessa. 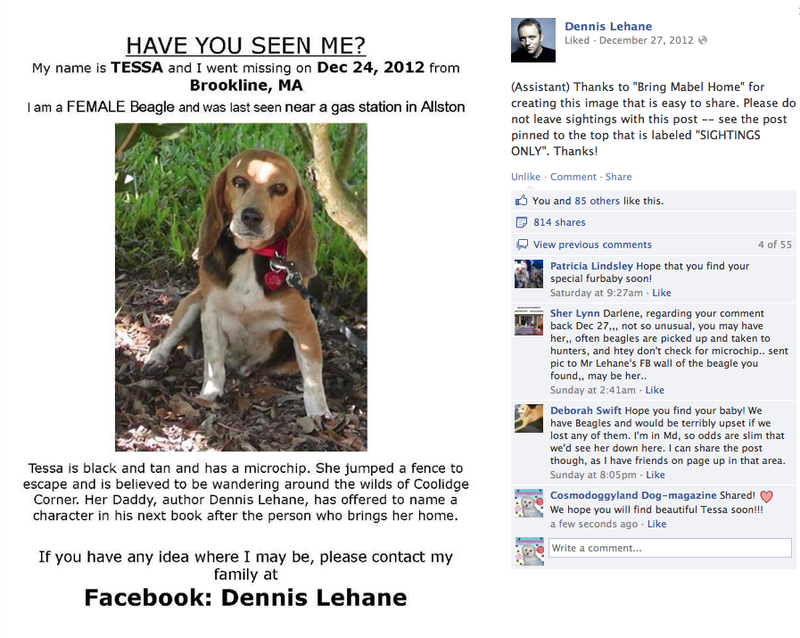 Tessa Lehane, a 4-year-old Beagle adopted from SouthEast Beagle Rescue in Florida, has been missing since Christmas Eve near Coolidge Corner in Allston Massachusetts. She has a micro chip, but was not wearing her ID tag when she got lost. The Lehanes are dedicating a great portion of their days to trying to find Tessa. In addition to printing and posting flyers, they are looking for her via Internet, social media platforms, and email relaying on the help of the entire dog lovers community. Her dad’s Facebook profile shows the pictures of Tessa with the reward being offered, and asks for everyone’s help in reuniting his family with its beloved furry member. Visit Finding Tessa Facebook Page for updates. Lehane was working in the adaptation of the short story Animal Rescue from the anthology Boston Noir when Tessa disappeared. The movie, that will begin shooting next March in New York City, is about a killing revolving around a lost and rescued Pit Bull dog and could star Tom Hardy as the main character. Lehane’s books are very well known and several of them were adapted into movies, such as Shutter Island directed by Martin Scorsesse and starring Leonardo DiCaprio, Gone Baby Gone, the directorial debut of Ben Affleck starring Morgan Freeman, Ed Harris, and Casey Affleck, and the multi-awarded Mystic River, with Sean Penn, Tim Robins, and Kevin Bacon under the direction of Clint Eastwood.